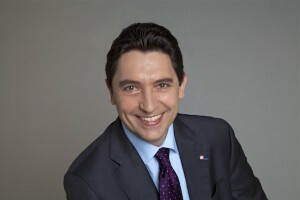 Recently elected as Senator in charge of the French abroad, Olivier Cadic is a French businessman who is completely in favour of the British economic system. The young senator is a self-made man: he started by creating a company in the electronic industry in 1982 and is now an editor and author of comic books. He is now living in Great Britain, proudly representing the French expatriate community and promoting the Anglo-Saxon economic way. How did you become a pro-business French entrepreneur in Great Britain? I settled in Great Britain in 1996, when I decided to not let my company die in France because of taxes and social security costs. Originally, my decision was deeply pragmatic. I realized that because of competition with the British industry, French entrepreneurship was losing its market shares. I had informed the French Minister of Industry advisors of the differences between France and England and the negative consequences for our electronic industry. They refused to act. They wished to protect “their” social model. I left France in order to protect my company. As a pro-European politician you were one of the first to benefit from open borders for business in the European Union. When I said I went to Great Britain by pragmatism, I would like to make a distinction between pragmatism and opportunism. I have always said that the French way of doing business does not help the French economy. In France, you cannot say that taxes and social security contributions are too high: you are immediately attacked without being listened to. Some people talk about “economic patriotism”. According to them, what is economic patriotism? Those who deal with it are not in the business world. The French philosopher Georges Darien said “patriotism is the last shelter for fools”. A lot of companies disappear and even cannot exist because of the high level of contributions in France. In Great Britain, I discovered another business culture. As an entrepreneur, the Anglo-Saxon culture suits me best. My duty for the French in France is to help them to determine a vision, which could help French businesses enchained in a rigid and sticky system. That’s why I am a pragmatic entrepreneur: I look forward to make things move. So building a federal Europe is a major issue. With the European Union, me may now have the ability to look beyond the border, to see how our neighbours are making business. I see a huge responsibility for the European new generation: more economic governance to create a competitive environment. I am a strong defender of the culture of performance. From a British point of view, you are fighting for the Anglo-Saxon way of making business. From a French point of view, don’t you think you are emphasizing the so-called concept of “French-bashing”? French media describe me as a “pro-liberal politician” which sounds pejorative. I am not depreciating the country were I was born; I want to help it to get better. As a Senator, my duty is to warn the French in France of the lethargic situation of business in France. Our social system is too expensive and I think our French model is done. I am not rising the French of France against the French abroad: I want to help but not by opposing the people. As a consequence, I am the co-president of the club “France Terre de Tourisme” whose members are French Senators and Deputies. I want to say to French people living abroad they have a land to share. I want to give a positive image of France. Our partnership with the United Kingdom represents the first French trade surplus since five years. The Franco-British bonds in business are strong: let us develop them! I want to bring the two countries closer in spite of the cultural differences. I explain a logic and I will keep giving my time explaining it. When you are moving to a new paradigm, some people keep being hesitant. To fight the reluctance we have to explain the change: people must seize innovation! You are a comic strips author and editor. To conclude, who are the comic strips characters who embody the best the French and the British personalities? Of course, I would say Astérix for the French character: the nasty and clever Gaul. Astérix is the mirror of the French behaviour. I have an anecdote about Astérix: in the 2000s, I made a conference about the speculative bubble and I used the album The Mansion of the Gods (Le domaine des dieux) to describe the situation. I think the album fits perfectly with this kind of financial situation. About the British character I would say Blake and Mortimer. I think they both represent the British type and culture.